ORATORIO (AUS) (Bay 2001-Stud 2005). 4 wins-3 at 2, MVRC CS Hayes S., Gr.3. Sire of 327 rnrs, 182 wnrs, 12 SW, inc. Lucky Street (WATC Karrakatta P., Gr.2), Motion Pictures, Clueless Angel, Gold Rocks, Waratah's Secret, Gold Busker, Cadenza, Palace Intruder, Belora, Like an Eagle, Latoria, Trustee Brown, SP Dancing Express, Outlaw Pete, Moet Me, Shades of Rio, Passion Cantata, Cuanzo, Fire Born, Coruscation, Coventry to Rio, Irish Coffee, etc. Sweet Serenity (f. by Pearl of Love). 4 wins-1 at 2-to 1300m, A$252,575, WATC Westspeed Nursery H., Advanced Feeds H., D'Orsogna Continental H., Golden Karnup H., 2d WATC Reed Resources 2YO H., D'Orsogna H., Twitter.com/rwwa_thor H., 3d WATC Jungle Mist Classic, L, Westspeed 3YO H., Westralian Diamond Driller H., Facebook.com Perthracing H., Gold Front Sprint H., Awspice H., Kevin O'Connor H., Living Comfort Air Conditioning H., 4th WATC Belgravia S., L, Belmont Guineas, L.
Eternal Secret. Winner at 1600m in 2014-15, 2d WATC Tabtouch.com.au H.
Dark Rhythm (f. by Due Sasso). 2 wins at 1100m, 1200m to 2015-16, 3d WATC Westspeed H.-3 times. Miss el Guerrouj (f. by Right Wing). 2 wins at 1300m, 2d WATC Support Your Local TAB H., Lawmaker H.
She's Roy's Gift (f. by Due Sasso). 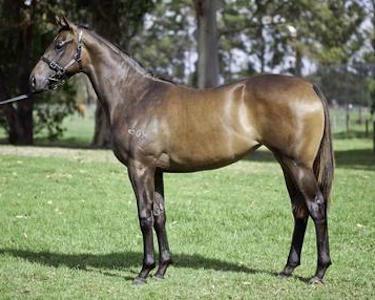 Placed at 2, 2d WATC Burswood Entertainment Complex 2YO H.
Atavism. 3 wins. See above. PHARAOH (Sackford). 11 wins from 1000m to 2000m, A$1,998,680, AJC Doncaster H., Gr.1-twice, Chipping Norton S., Gr.1, Apollo S., Gr.2, Liverpool City Cup, Gr.3, NSW Tatt's RC Tattersall's Club Cup, L-twice, AJC Mt. Pleasant Elizabeth H., Glenmore Meat Co. Welter H., Handicap-twice, 2d AJC Villiers S., Gr.2, STC Royal Parma S., L, 3d VRC Nissan S.H., Gr.1, QTC Stradbroke H., Gr.1, STC George Ryder S., Gr.1, AJC Villiers S., Gr.2, Expressway S., Gr.2, QTC Sir Byrne Hart S., Gr.2, 4th AJC Queen Elizabeth Randwick S., Gr.1. Lansdowne Road - Supreme Ruler (Mal.) (Ahonoora). 4 wins at 1200m in Aust. and Malaysia, STC Winfreux Quality H., Selangor TC Otard VSOP Cup, AJC Exchange H., 2d VRC Carbine Club S., L, SAJC Walter Brown S.H., L, 3d VATC Blue Diamond Prelude, Gr.3. LEICA GUV (Deputy Governor). Champion 3YO in NZ in 2001-02. Top of The 2001-02 NZ 3YO Free H. (1650m+). 10 wins-2 at 2-from 1150m to 2400m, NZ$468,325, A$16,000, New Zealand Derby, Gr.1, ARC Great Northern Guineas, Gr.2, Avondale Guineas, Gr.2, Counties Cup, Gr.2, Whangarei RC Northland Breeders' S., L, ARC KPMG Legal 3YO S., Waste Management H., Crombie Lockwood H., Waipa RC Te Awamutu Cup, 2d Whangarei Cup, 3d New Zealand Two Thousand Guineas, Gr.1, ARC Queen Elizabeth H., Gr.2, Cornwall H., Gr.3, 4th STC Canterbury Guineas, Gr.1, Hawke's Bay Guineas, Gr.3. LIGHT FANTASTIC (Danehill Dancer). 5 wins from 1100m to 1600m, A$1,063,400, VRC Australian Guineas, Gr.1, MRC JJ Liston S., Gr.2, Perri Cutten Cup, Gr.2, MVRC Mitchell McKenzie S., L, 2d AJC All Aged S., Gr.1, MRC Futurity S., Gr.1, MVRC Norman Carlyon S., Gr.2, 3d VRC Gilgai S., Gr.2, 4th MRC CF Orr S., Gr.1, MVRC William Reid S., Gr.1, VRC Makybe Diva S., Gr.2. LECTRICE (Encosta de Lago). 4 wins-2 at 2-from 1200m to 1800m, A$199,675, SAJC Jansz S., Gr.3, MRC Saxony H., WJ (Bill) Adams 2YO H., VRC Havelock H., 4th VRC Thoroughbred Breeders S., Gr.3. FANTASTIC BLUE (Danehill Dancer). 11 wins-1 at 2-from 1300m to 2200m, A$400,950, BRC Premier's Cup, Gr.3, Brisbanetimes.com.au H., Myer H., Coca-Cola H., Liftronic Elevators H., QTC Dutton Park Rowing Club 2YO H., 3d BRC Queen's Cup, Gr.3.